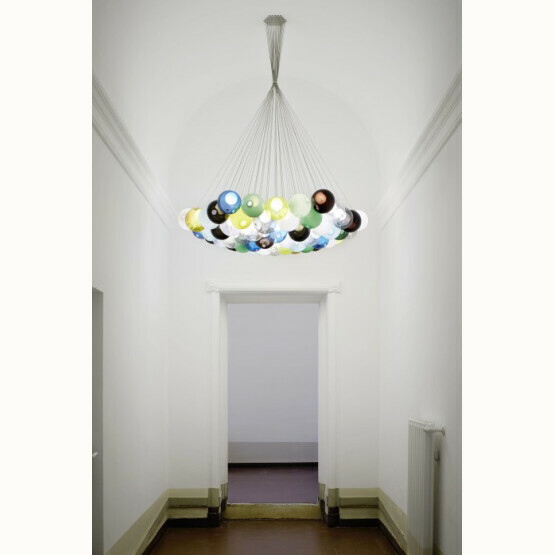 The Bocci Series 28 is designed by Canadian architect and designer Omer Arbel. 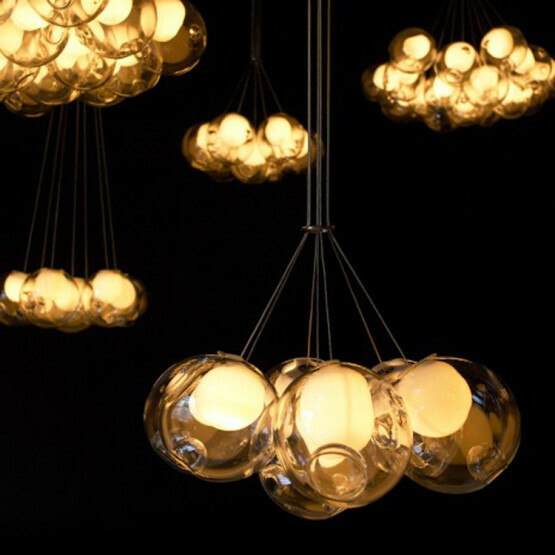 It results from an innovative fabrication process that manipulates both the temperature and direction of air flow into blown glass. 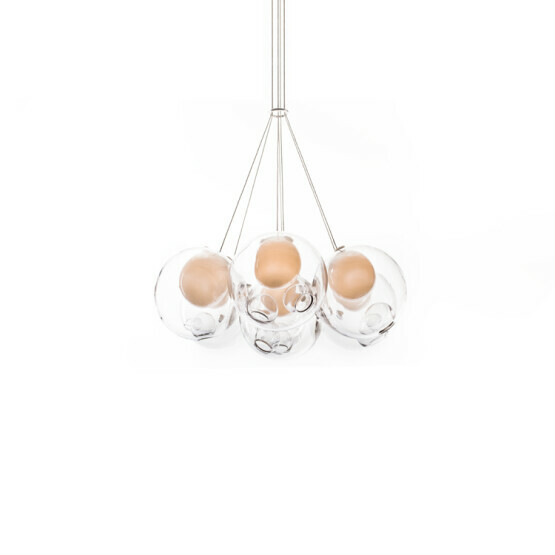 The result is a slightly distorted sphere with 'satellite' shapes and an opaque milk glass diffuser inside. 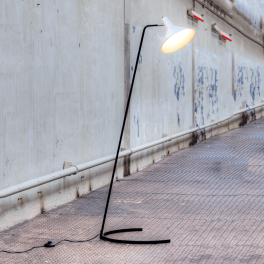 The standard lamps come in clear glass, but the 28 series can also be crafted in near-infinite colour variations (with an additional cost of €225 per globe). 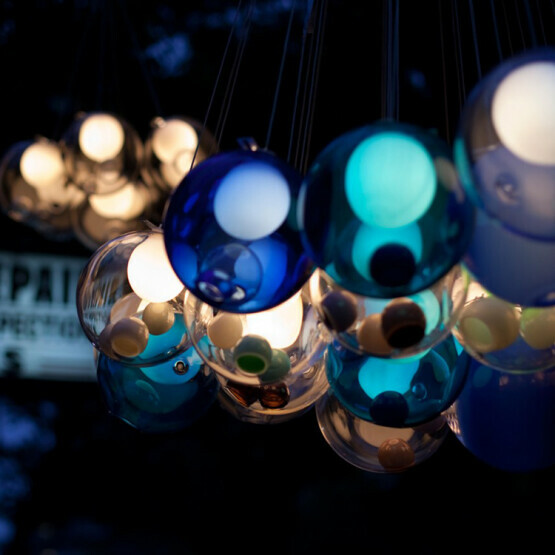 For more information about colours and prices, please contact us: hello@clouds9000.com or check out the Bocci colour app. 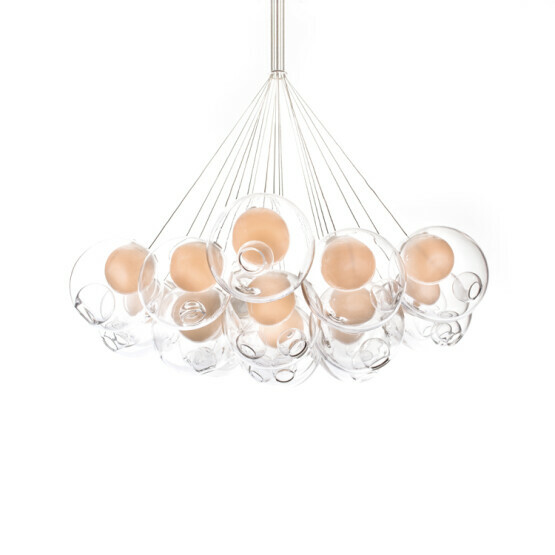 These hand-blown low-voltage clusters are available with 3, 7, 19, 37 or 61 blown-glass spheres. 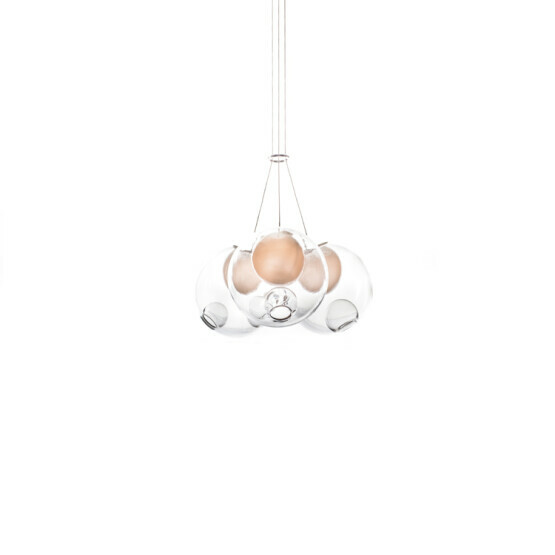 Pendants hang from a round canopy in the shape of a hexagonal bouquet, bundled together by an adjustable ring. 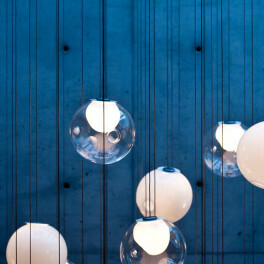 28.3 and 28.7 have a brushed-nickel canopy (ø 15,2 cm - h 3,2 cm) and use strain relief connections, which allow the pendant lengths to be adjusted on site. 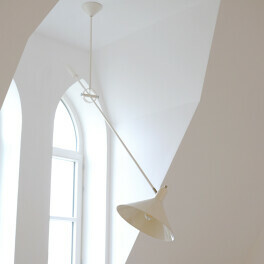 28.19, 28.37 and 28.61 have a white powder coated canopy (ø 50,1 cm, ø 60 cm and ø 70,7 cm - h 5,3 cm). Headphone jack connections are used, which allow the pendants to be 'plugged into' the canopy for fast and easy installation. 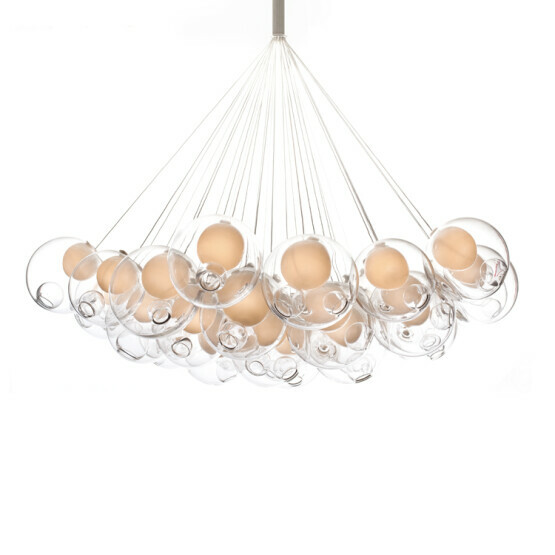 Pendant lengths are pre-set during production and are not site adjustable. Shortest and longest lengths can be specified when ordering.